Most of us have probably heard of Blue Monday by now: supposedly the most depressing day of the year. This gloomy day falls on the third Monday of January every year. This year the honour of Blue Monday goes to today, 16th January 2017. Whether this is truly the most miserable day of all 365 of them is up for debate, but there’s no denying it: January isn’t exactly the happiest time of year. Originally created in 2005 using a very scientific-looking equation, factors making Blue Monday supposedly so blue include debt, weather, and motivation levels. W=weather, D=debt levels, d= salary, T=time since Christmas, Q=time since failing our New Year’s resolutions, M=low motivational levels, and Na=feeling a need to take action. Whether Blue Monday is really as gloomy as they say or not, we all experience a certain level of the winter blues at the beginning of the year. So we’ve put together a list of apps that can help you fight all those things that make Blue Monday such a downer and help lift you out of that winter slump. Get your finances under control after the splurges of the festive season. Goodbudget helps you plan your spending using an envelope system. At the beginning of the month you set aside money you need for various expenses in different envelopes – bills, rent, groceries etc. You can even set up a savings envelope to make sure you stick to those saving goals. Say goodbye to accidental overspending on pizza and shoes and hello to an organised bank account. With all that fabulous saving you’re doing, within no time you’ll have put enough money away for a little break from the cold and grey winter weather. But in the spirit of budgeting, you’ll want to do it as cheaply as possible. 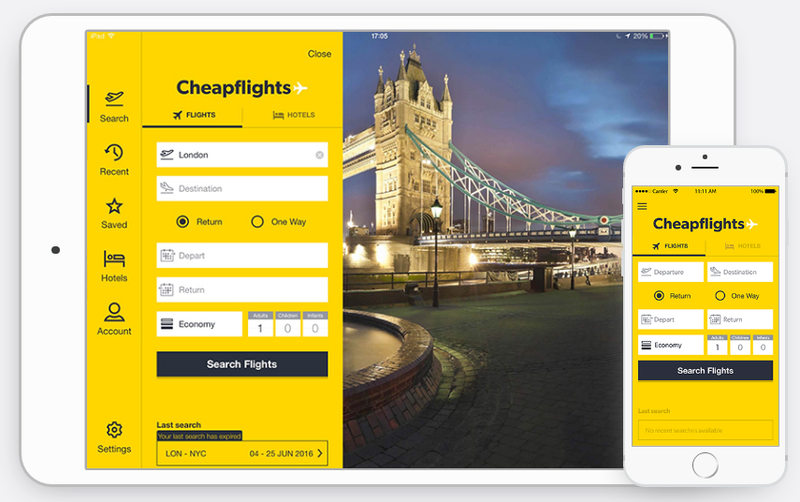 Cheapflights makes it easy for you to find the lowest cost flights possible, with all extra fees shown upfront so you can compare final prices simply. Escape the gloom and catch some winter sun on the cheap. Winter isn’t an inspiring time as far as motivation is concerned. Finding the energy to get out of bed every day is hard enough, let alone to work towards any goals you want to reach. But Beeminder could give you the kick up the rear you need to achieve great things during this gloomy season. The app sends you reminders so that you keep up with your goals. Go off track and the app stings – by taking your money. Motivation to the max. Unhappy with the sum that pops into your account on payday? Time to fix that. And Rake makes the process of getting that well-paid gig as simple as possible. The app allows you to save jobs you find on job boards, set to-do lists for the documents you need to prepare, and best of all, track the jobs you’ve applied for. No more awkward “did I send them my CV already?” moments. Keep track of your journey to a better-paid you in one neat place. We all make New Year’s resolutions. And we never keep them. One of the most common resolutions is to keep our homes, desks, offices, or wherever cleaner and tidier. Yet by mid-January, it’s back to being a pigsty. But it doesn’t have to stay this way – Hassle lets you find an insured cleaner in just a few clicks through their app. All are background-checked, and you pay through the app with no cash required. Keep your resolution of a cleaner you by letting the experts take care of it. And finally, the problem of feeling a need to take action. But when you’ve got apps like these at your fingertips, is there really an excuse not to get going? So tackle Blue Monday, the winter blues, or just that gloomy January feeling head on – with a little help from your smartphone.